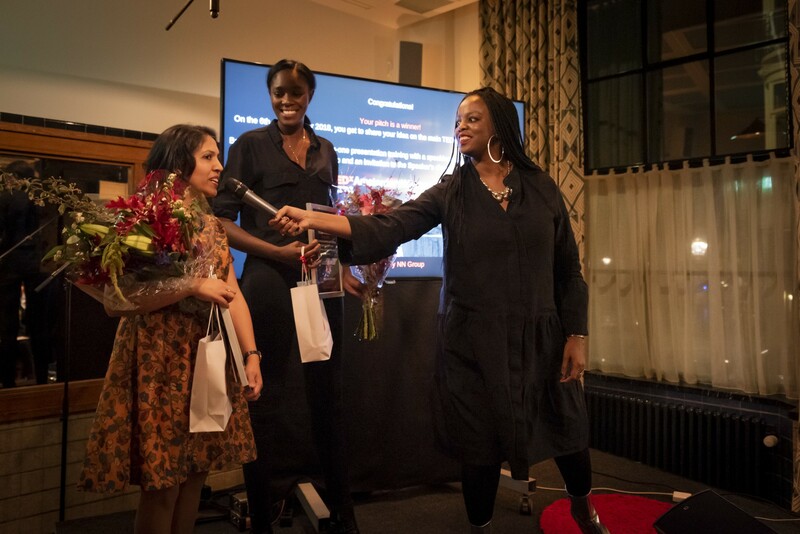 Meet the TEDxAmsterdamWomen Pitch Night winners! One stage. Three minutes. Ten ideas worth spreading. 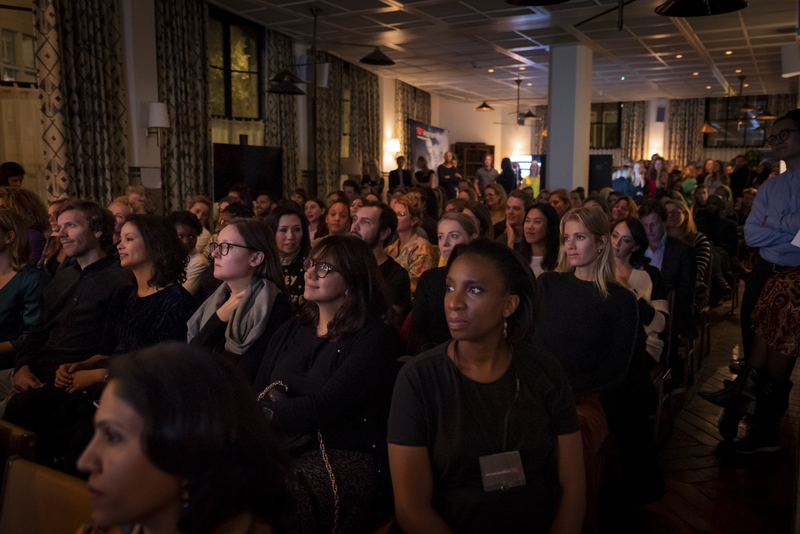 In front of a sold-out crowd at Soho House in Amsterdam on November 9, ten women with game-changing ideas took to the stage to share their unique pitches during the first-ever TEDxAmsterdamWomen Pitch Night. Their diverse stories all linked back to a shared theme: bridging the gap. Two of these brave women were chosen by the audience and jury to present a full TED talk on the TEDxAmsterdamWomen stage in December. We’re proud to present the winners of our first Pitch Night: Dr. Yamini J. Singh and Jessica Gyasi! Urban and Transport Planner, Researcher, Author and Entrepreneur Dr. Yamini J. Singh works on sustainable cities and gendered urban mobility. She challenged the audience to think about the gender bias in cities, giving the example of public urinals designed for men and the lack of similar facilities for women. What does this say about our expectations of how men and women use public spaces? She also spoke about bridging the gender bias in transportation design, which also caters to men. Jessica Gyasi is a Dutch model, writer, filmmaker, and coach with Ghanaian roots. She started modeling professionally at age 15. Despite gracing the catwalks for some of the biggest names in fashion, she had a nagging sense of insecurity. She decided to channel this experience into a platform called “Model for Models”, which aims to empower girls and young women. Did you know that only 1 in 10 girls in the Netherlands view themselves as beautiful? It’s time to bridge this gap and help the next generation of women to cultivate inner beauty and confidence. Yamini and Jessica will receive business mentoring from Nationale-Nederlanden (NN) and public speaking training from TEDxAmsterdamWomen speaker coach Bonnie Williams ahead of the December conference. “Thank you to all of the passionate women who took to the stage and shared their ideas worth spreading,” says Marian Spier, Founder of TEDxAmsterdamWomen. 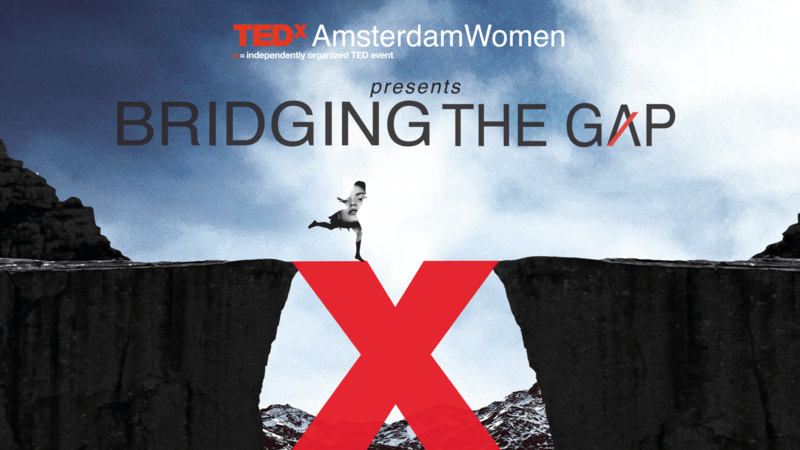 Pitch Night is a new TEDxAmsterdamWomen concept that opens the stage to undiscovered speakers: the game changers, local heroes, and rebels; the women (and men) working hard to change the world. Over 150 pitches were received for the first edition, marking a successful debut. In addition to the finalists, the entertainment was equally thought-provoking. Pitch Night was hosted by Dutch radio DJ and presenter Eva Cleven, and opened by spoken word artist Munganyende Hélène Christelle. Storytelling with a twist was provided by Els Dejonghe, with live music by singer-songwriter Jara Holdert, bumping beats by DJ Soulfania, and vibrant artworks by Rabia Omanette. TEDxAmsterdamWomen would like to thank our Pitch Night judges: Marian Spier, Bonnie Williams, and Marit van den Elshout. A special thank you goes to our partners and guest speakers Virginia Yanquilevich of Dopper and Dailah Nihot of NN Group, for supporting Pitch Night.